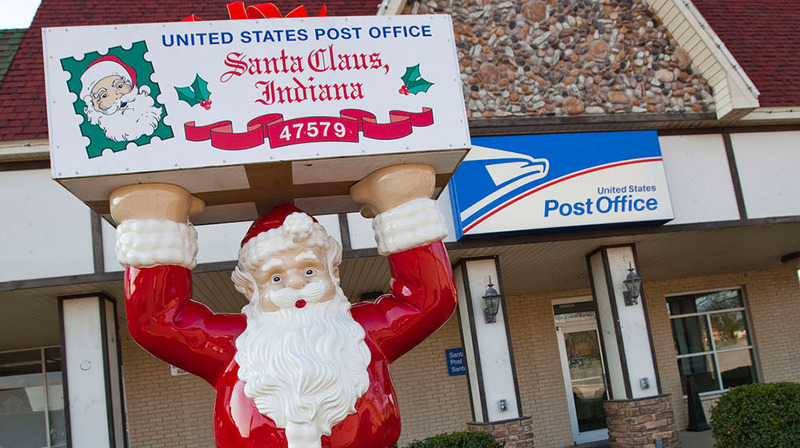 The Santa Claus Post Office is the only post office in the world with the Santa Claus name! 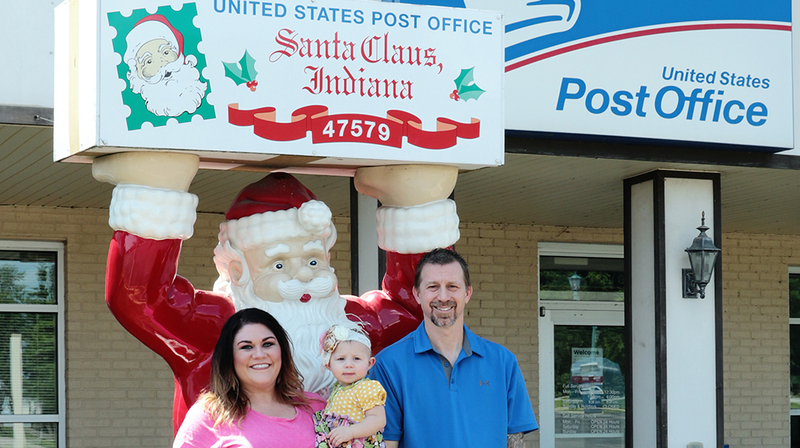 Stop by to receive the famous Santa Claus postmark during the Christmas season and see where thousands of letters are mailed to Santa each year. The first Santa Claus Post Office opened its doors in 1856. The town’s name did not peak interest however, until 1914 when Santa Claus’ 14th postmaster, James Martin, took it upon himself to answer the children’s letters. Soon after, people flocked to the Santa Claus Post Office to get the special postmark; so much that in the early 1930s the US Postal Department suggested changing the name of the town to avoid the Christmas season frenzy. Fortunately, for everyone, that did not happen! James Martin continued answering letters and eventually enlisted Jim Yellig to aid in helping him write back to children across the world. Today, the non-profit organization, Santa’s Elves Inc, and the Santa Claus Museum, organize volunteers to answer all the children’s letters that flood this tiny post office during the holidays. More than 22,000 letters were answered in 2018. On the map below, you'll find Santa Claus Post Office, as well as a few of the lodging, dining, and activities that are close by.